Sofia’s debut album Blue Moon was released in 2005 to much critical acclaim followed by Street of Dreams in 2007 which features a duet with indie pop icon Bernard Butler from British band Suede, released on her then newly formed record label Makaki Music. Continuing a steady pace of releasing albums Sofia released her album Jonestown, named after the tragic 1978 event in Jonestown, Gyuana, 2008, and was the first Swedish female artist to play the Lollapalooza festival in Chicago, that same year. about Sofia Talvik’s 2010 release Florida, and album inspired by spending a few hot summer months in Florida in 2009. Sofia who toured the US several times from her first success at the Lollapalooza festival in 2008 has been invited to officially showcase at SxSW 3 years as well as to The Folk Alliance International Conference in 2012, completed a 16 month long tour of the US promoting her 5th release The Owls Are Not What They Seem. The tour took her through 37 states and she did over 250 concerts. She’s been noted in media all over the the world for her impeccable live performances and captivating stage presence. In October 2013 she released her album Drivin’ & Dreaming LIVE an album with live recordings from her U.S tour. 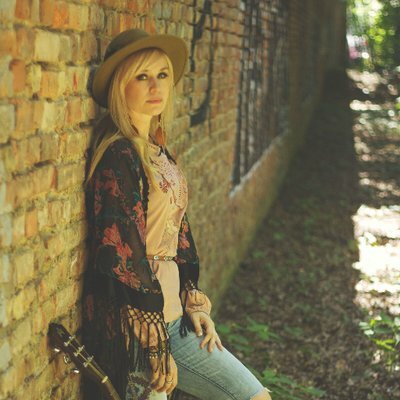 In March 2014 Sofia Talvik released the EP “FOLK” – a six track special. A hauntingly beautiful EP of old Swedish folk songs in a new modern presentation. April 2015 Sofia’s 6th studio album “Big Sky Country” was released. A storybook of adventures and hardships, about sometimes doubting yourself but also finding strength within yourself. 10 original songs written on the road as well as in the contemplation after, beautifully packaged in a simple yet powerful production. “Big Sky Country” also contains a cover of “Starwalker” by Buffy Sainte-Marie. The album is being distributed in the USA and Canada by ILS/Caroline/Universal. The album was appointed 4th best americana album of the year by U.K newspaper The Telepgraph. After having continued her tradition of releasing an original Christmas song, every year for over 10 years, Sofia released her Christmas album “When Winter Comes” in 2017. The album reached no 5 on Folk Radio Charts in the USA, and Sofia was the 3rd most played folk artist of the month of December. A new album that is in the works is planned to be released 2018.